It’s that time of year again, and we have our own lovely 8-piece knitted nativity set ready to decorate your entrance hall. And there’s a yummy little surprise in each one so make sure your guests keep their hands to themselves! 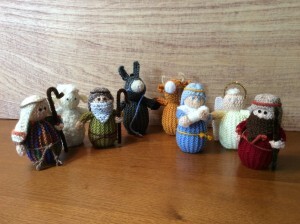 The 8-piece nativity set is £20.00 or you can buy a single item for £2.50 each. Please feel free to contact us if you would like to buy. © 2019. Wayaya House is a registered charity in Guernsey and Zambia (RNGO 101/0175/14).